So you bought a new smartphone and it’s time to re-configure all the apps in your new device. 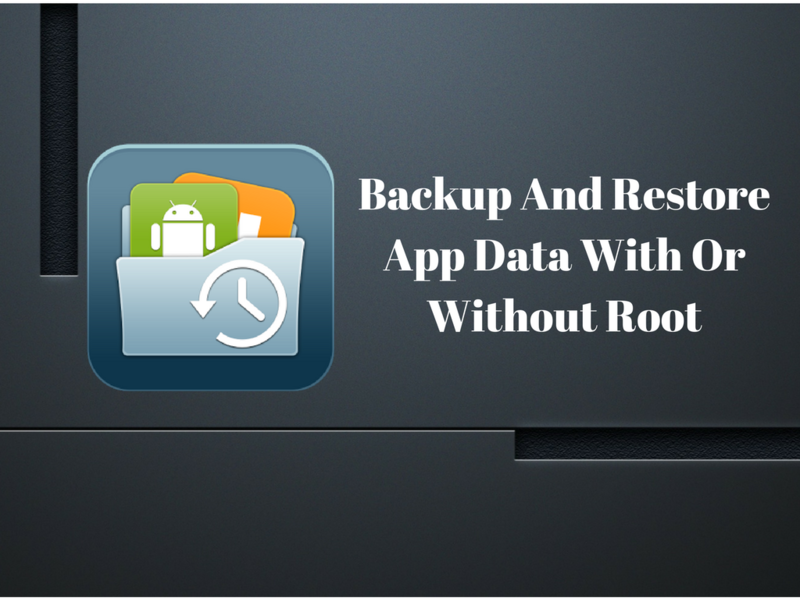 Or, you may be willing to back up your old device and restore the data in the new one. Whether you wish to root it or not, you can easily do this. Let’s know how. When you install an app on your Android device, it gathers data that could include configurations, chat profiles, login information and so on. This data is stored in a separate directory. This is done to restrict other apps from accessing that data. Though it leads to more security, it makes backups a slight difficult. Without special permissions (root access) it is tough to access the private directories of the old smartphone. So, unless an app provides its own configuration backup procedure, your app data will be lost when you switch smartphones. However, there is still a way to back up your data. Some apps give access to app data using a debugging interface, and this is precisely the way Helium employs to export your app data, even without root access, and transfer it to your new phone. You’ll get to know how to use Helium to back up your app data without root in the next section. If you wish to move your app data from your old device to your new on as given above, you can do it with the Helium app feasibly – and without the need to root your device, if you get the Helium Desktop Installer. The application is available for Windows, Mac OS X and Linux. If you use Windows, make sure you have all the associated drivers installed. Install Helium Desktop, and the applicable drivers if needed. Install the Helium app on your old Android device. Run Helium Desktop – but don’t connect your phone with your PC just yet. Activate USB debugging on your Android device. You’ll get it in the developer options. Note: If your smartphone isn’t found, USB debugging may not have been adequately enabled. It may also be the case that the right ADB drivers aren’t there on your computer yet. In the case of a Sony device, visit Sony Developer website and obtain them from there. In case of other manufacturers, solve the problem the same way. Run the Helium app on your smartphone and connect it to the PC. Once your phone has been spotted, unplug it from the PC. Now go to the app on your phone and choose which apps you’d like to back up the app data for. If you want to do them all, pick Select all and tap Save. Now, choose where to save your backup to. You can choose from the internal memory, microSD or the cloud. Wait a few minutes for the backup to finish. After it is done, a notification will come up that the backup was successful. Make sure to get the latest version of Helium app which is constantly getting improved and updated.